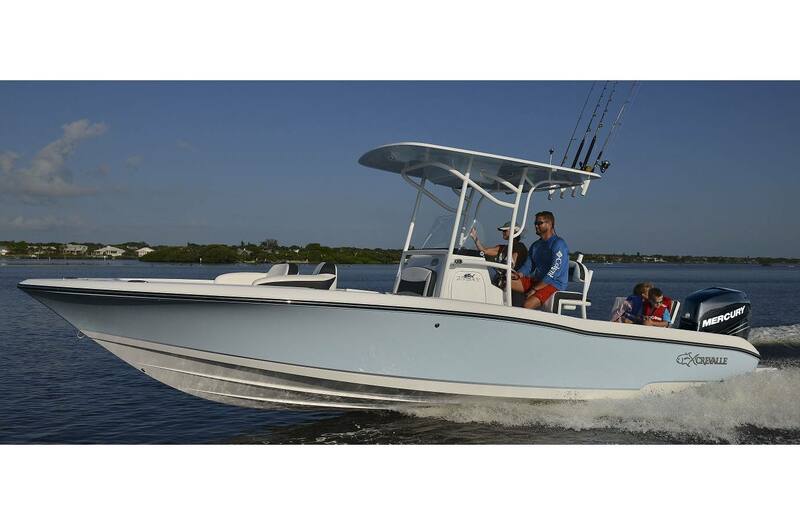 Designed by anglers with families to be the most family friendly 26 on the market. Just because we increased the size of the boat doesn't mean we lost sight of the family. 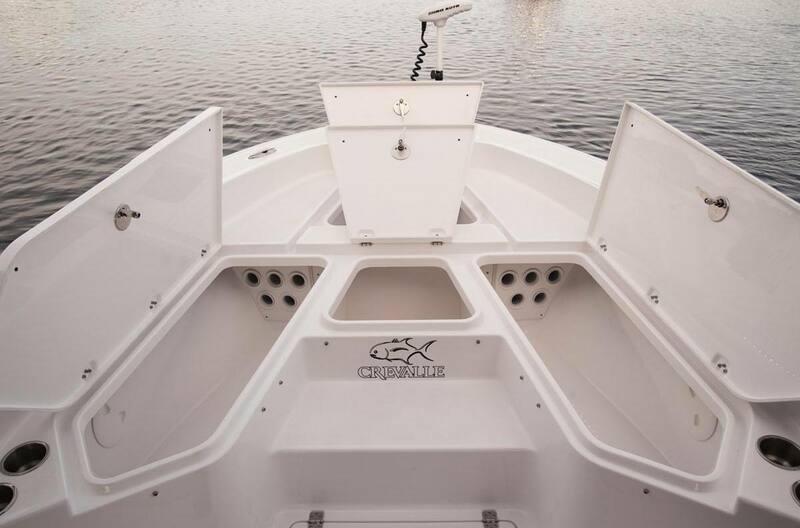 We still include 2 removable 72 quart coolers and offer an in-console porta pottie, forward seating package and removable ski pylon. 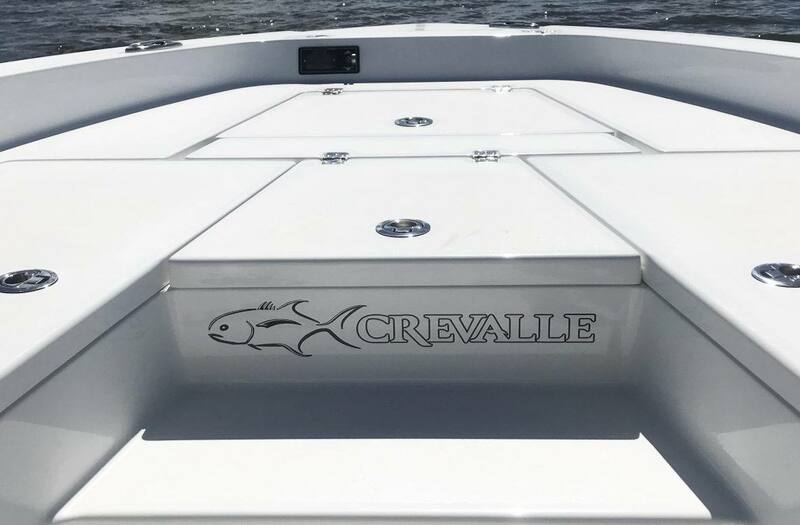 And as always, all Crevalle boats feature our trademark storm grey helm face with integrated foot rests and standard 12" chartplotter. 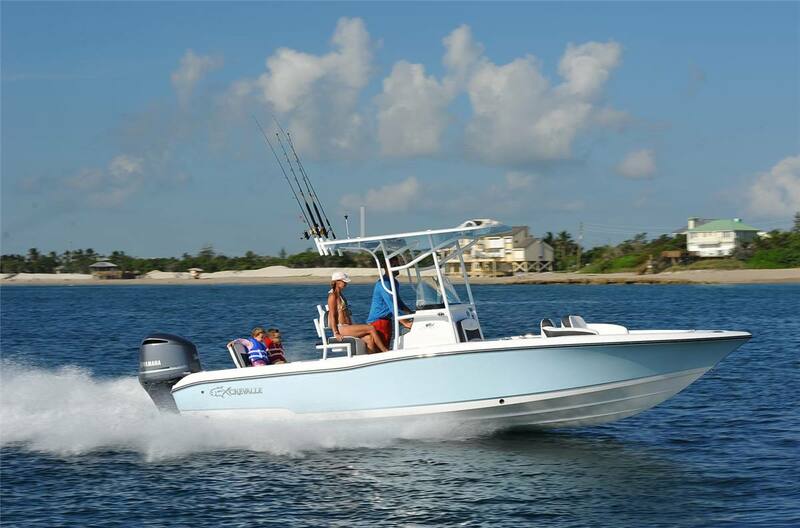 Get Lobsters in the Keys….. Scallops in the Gulf….. or Grouper on the rock piles - no other boat meets eye to eye with the all-new 26 Bay from Crevalle Boats. 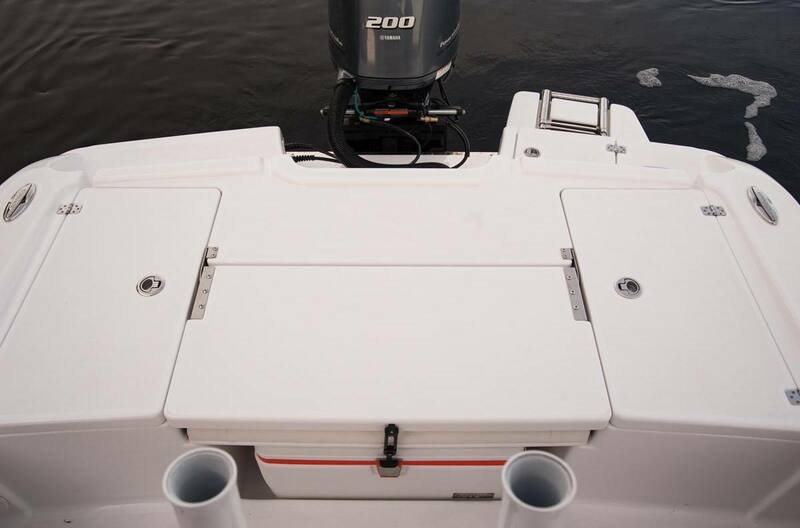 Standard 6” Engine Jack Plate combined with notched transom allows our boats to leap on plane in shallow water with no propeller cavitation. 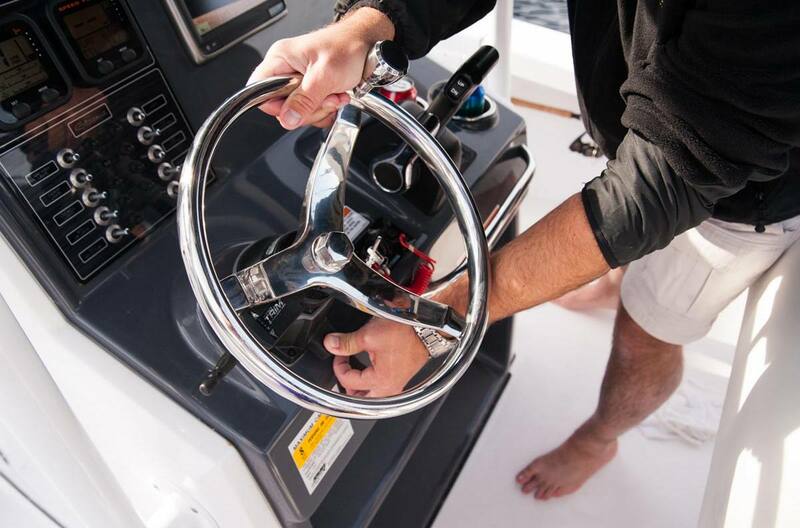 The notch provides so much water to the engine pickup that the engine can be run all the way up on the jack plate without fear of overheating the engine. 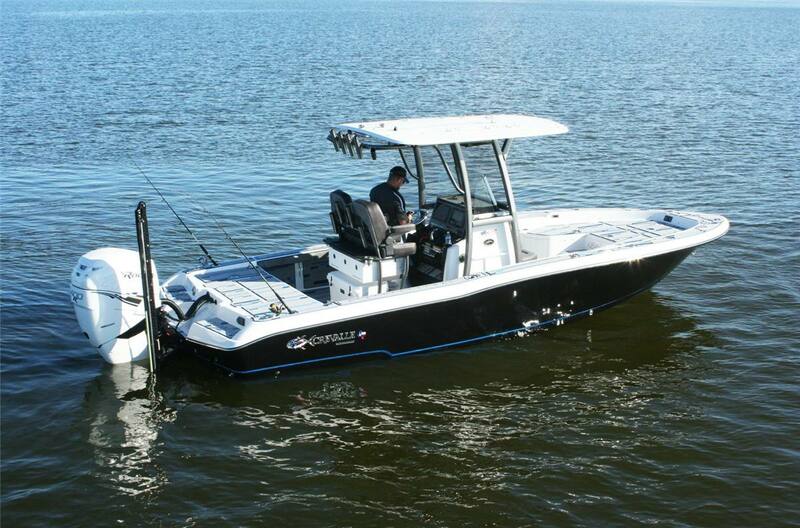 Full second station – Power sliding “Sunroof style” pass thru with full second station controls, trim tab control, jack plate “blinker switch”, space for a 7? 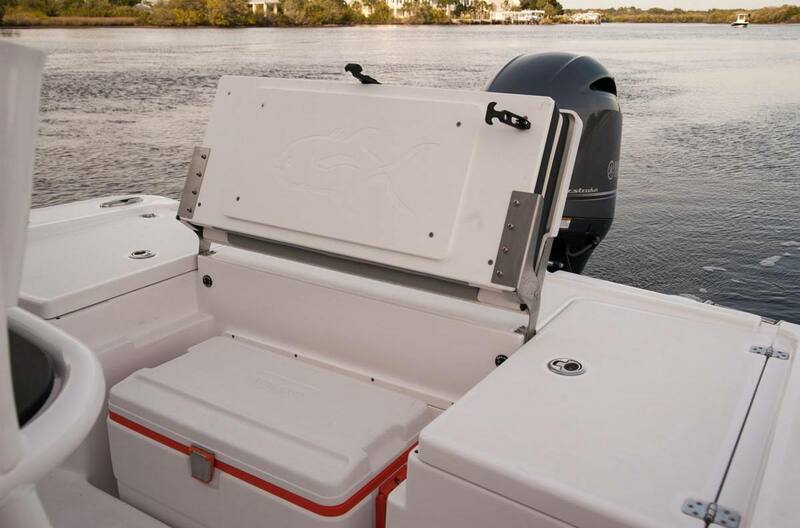 flush mount display, upper seat, flip up bolster, rod holders, tackle storage and cup holders.